Alex came out to his friends and family as trans in 2013 aged 15. He describes it as an "empowering" move - but claims that he was bullied more at school as a result. Gwent police confirmed that they initially logged a crime report for a violent transgender hate crime - but that the caller "later confirmed that they did not believe they had been targeted because of their gender identity". Alex's case highlights wider uncertainties around the way police treat hate crime, which has risen significantly over the last four years - in part thanks to major improvements in reporting and recording. The figures show that 70 children aged under-13 - including some younger than seven - have been reported to police for homophobic or transgender hate crimes since 2014. But the increase hasn't been mirrored by an improvement in the number of crimes solved. Just one in eight (13%) recorded homophobic hate crimes resulted in a charge in 2017 - down from almost one in four (23%) in 2014. She cautioned that under-reporting is still significant, however - and "especially acute" when it comes to homophobic and transphobic hate crime. 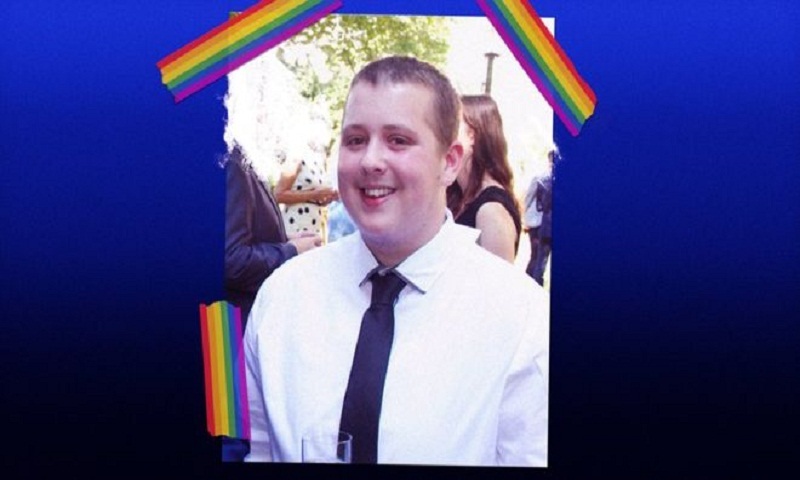 Michael Robinson, a 28-year-old care home worker from Merseyside, was the victim of a homophobic hate crime at work in 2015 - when a colleague verbally abused him. Merseyside police said that hate crimes are "vastly underreported" across the UK, and that it has taken steps to improve this state of affairs - such as training hate crime officers in new skills to treat victims appropriately. "It happens on the bus quite a bit," he says. "In Liverpool you get a lot of young lads - and by young I mean primary school age - hanging out." Despite this, Ben says that Liverpool - which hosts events including a free Pride festival, and a Transgender Day of Remembrance Vigil - is an LGBTQ+ friendly city. Any existing criminal offence can be a hate crime if it is considered to be motivated by prejudice. In total more than 90,000 hate crimes of all kinds - including race, religion and disability - were recorded by police in the year ending March 2018. The rise in offences has been driven largely by a sharp increase in Public Order offences - a category of offence that relates to behaviour in public, including threats, harassment and verbal abuse. For people like Alex - who says his trust in the police has been affected - it is vital that potential hate crimes are taken seriously.